Buildings continue to operate and consume energy after the work day ends and facilities become idle. 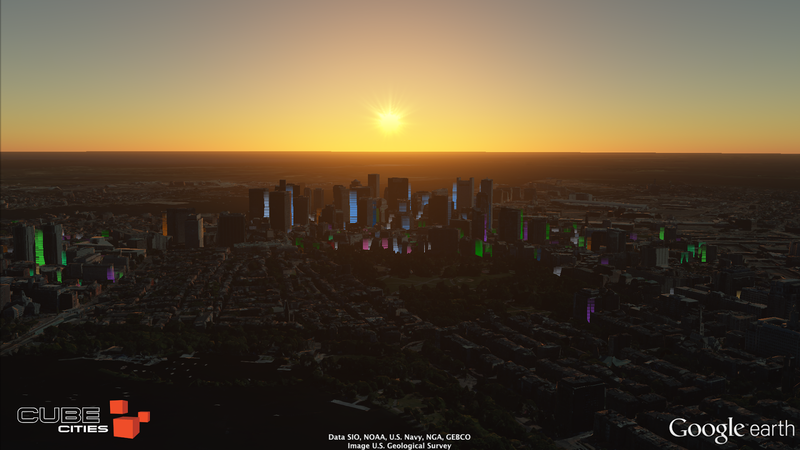 With Building Meters, Cube Cities provides a unique visual meter indicating the building type and class, energy usage and any other available metric. 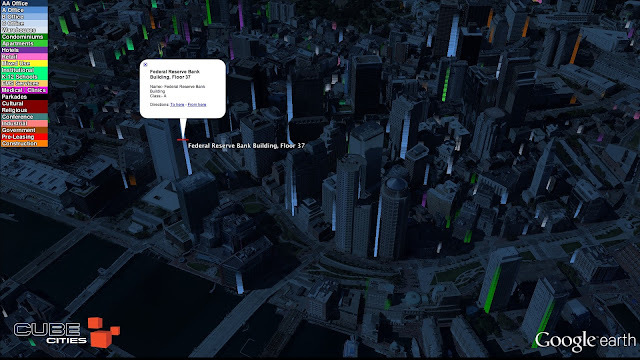 See the video below to see what Cube Cities can do in Boston using Building Meters and Google's new 3D imagery. Imagine real time building data available in this format for every major city in the world. It's the dawn of a new era and Cube Cities is there. Contact us to experience the full interactive product. Options for private implementations of Building Meters are available.